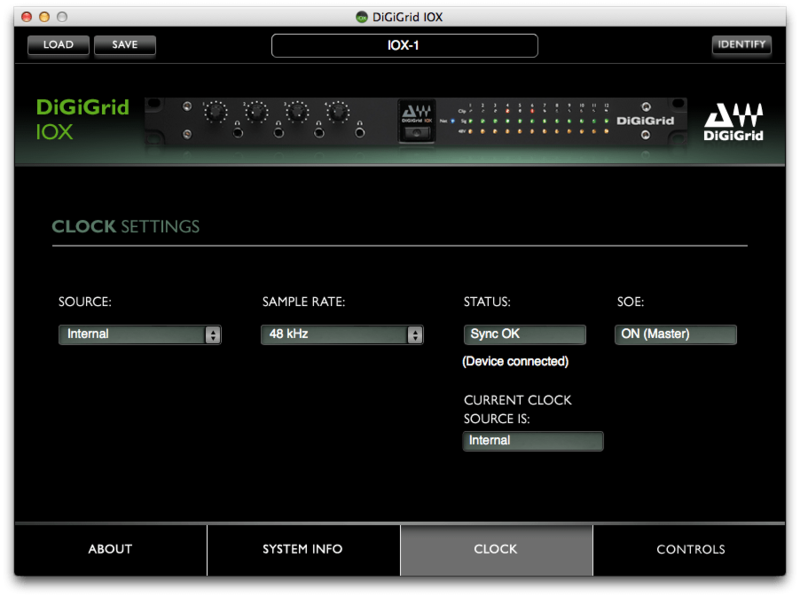 DiGiGrid IOX is the perfect high-count I/O interface for your studio's performance/recording room. This advanced audio interface features 12 mic/line inputs with broadcast/studio-quality preamps and 6 line outputs. The IOX delivers high-resolution monitoring in the studio and the control room alike, with four headphone outputs allowing independent mixes for each musician. With your IOX and a dedicated SoundGrid DSP server, you can run up to hundreds of SoundGrid-compatible Waves and third-party plugins, all fully integrated within your DAW of choice. Use a single Ethernet cable to plug the IOX into your SoundGrid network, and you will instantly tap into a world of real-time tracking, mixing and monitoring, with incredibly low latency of only 0.8 milliseconds. For further information on how to use the control panel, see the DiGiGrid IOX manual. 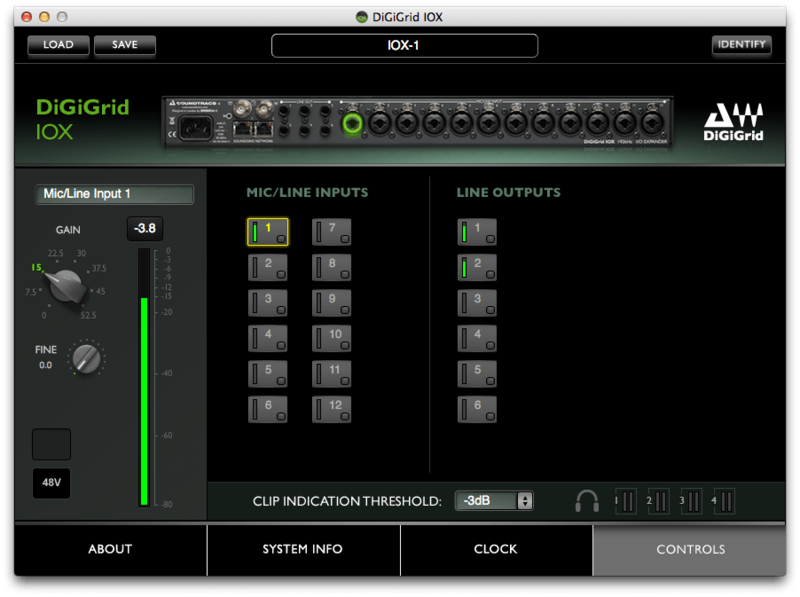 By adding the IOS's built-in DSP server to your SoundGrid network you can offload your audio processing. This greatly increases the number of plugins you can use simultaneously. Plus, it enables you to use the eMotion ST mixer, which lets you create personalized monitor mixes from your DAW mix and from outside sources, and also allows you to open 64 StudioRacks and use them for low-latency monitoring.